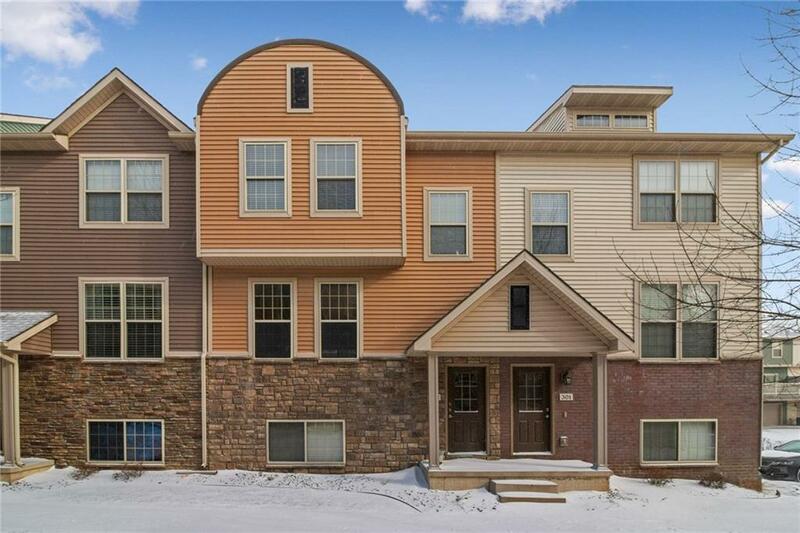 Johnston Schools, 3 bed, 3 bath townhome @ almost 1,500 square feet + basement finish with attached 2 car garage and freshly painted walls! This unit has tons of space for entertaining both inside with the open-concept main level AND outside on the large deck that will be shaded in the evenings. 3 bedrooms PLUS a finished bonus den in the lowest/basement level. On the main level you will see a large living room with a large eat-in kitchen with granite counters, a half bath, laundry room, and a large deck. Upstairs youll find a large master suite with a full bath (dual sinks) and walk-in closet. Rounding out the upstairs are 2 more bedrooms and another full bath. High-end finishings in portions of the unit with granite counters and some tile floors. HOA includes lawn, snow, exterior maintenance/insurance, basic DirecTV plan @ only $110 a month. Pets AND Rentals allowed with restrictions. Enjoy easy access with the new NW 100th St. exit.